1. 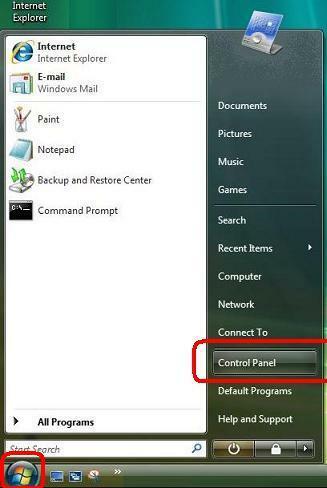 From the Windows Start menu, open Control Panel. 2. In Classic View double-click the Network and Sharing Center icon. 3. Under the Network section you will find a Local Area Connection entry; click its View status link. 4. In the Local Area Connection Status window, click the Properties button. 5. In the This connection uses the following items section of the Local Area Connection Properties window, highlight the Internet Protocol version 4 (TCP/IPv4) entry and then click the Properties button. 6. On the General tab, the Obtain an IP address automatically option should be selected. 7. The Obtain DNS server address automatically option should also be selected. 9. Click the OK button again. You are now ready to configure your router. Thank you for visiting the [Windows Vista Network Configuration : Asahi Net : Internet Software Guide] page of Asahi Net, the Internet provider.